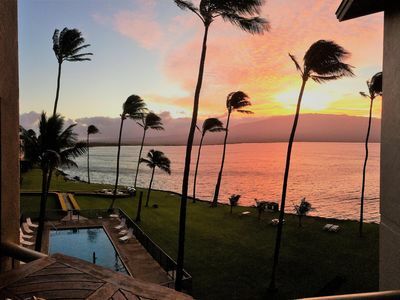 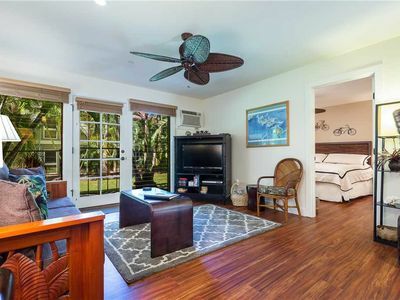 This Kapalua Bay Villa is a very unique location oceanfront condo with spectacular ocean view overlooking Oneloa Bay and the island of Molokai across the channel. 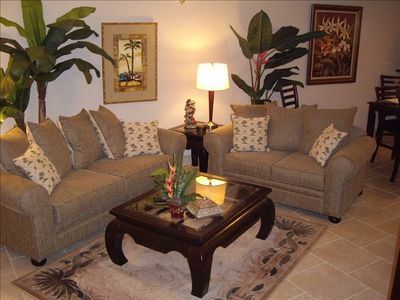 This villa condominium is a ground-floor, 1229 sq. 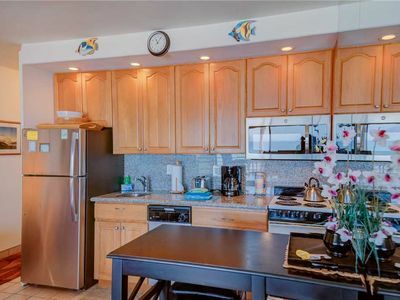 ft. unit which has recently undergone a complete architect/designer remodel. 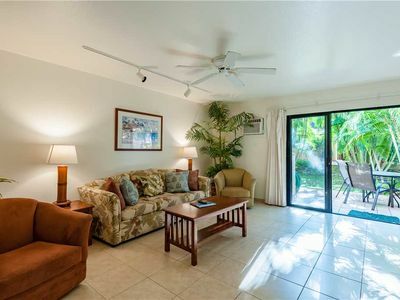 The remodel features Venetian plaster, limestone floors, custom framed art and beautifully appointed antique and Tommy Bahama tropical furnishings, all new kitchen with state of the art appliances and granite countertops, baths w/granite tile throughout, 42-inch and 37-inch LCD TVs with surround sound and DVD/CD players in the living room and bedroom. 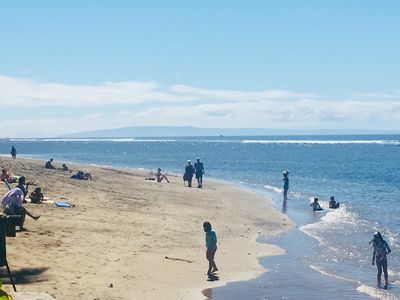 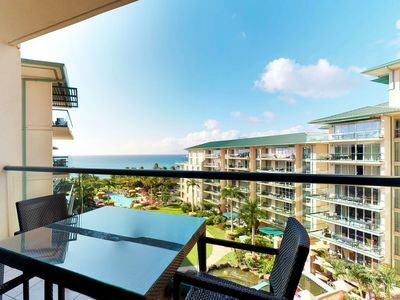 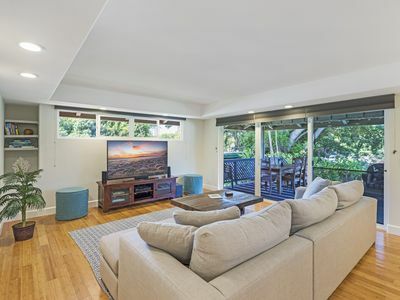 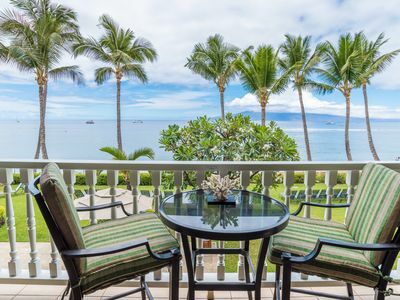 There are sweeping views of the Pacific Ocean from the living room and dining areas and also from the lanai which opens onto a grass lawn area where you will find steps which lead down to Oneloa beach, a secluded white, sandy beach located just below the condo. 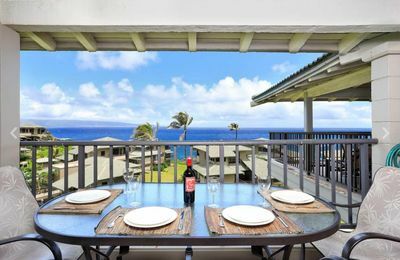 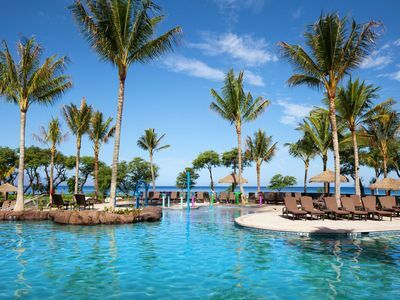 World famous Kapalua Bay Beach is just a short walk away and D. T. Flemings beach is a 20 minute walk, located just below the Ritz-Carlton Hotel. 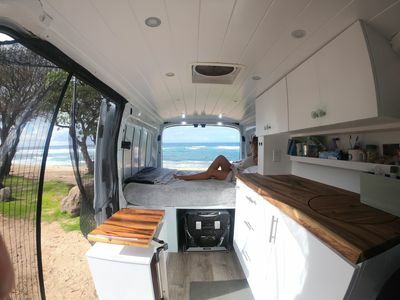 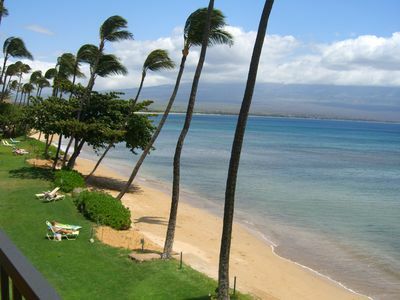 This is one of the premier locations in all of Maui. 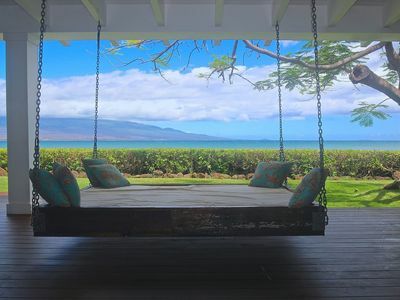 This villa would easily qualify for the Kapalua Gold program, “Maui's finest ensemble of premier accommodations” …and rent at a much higher rate. 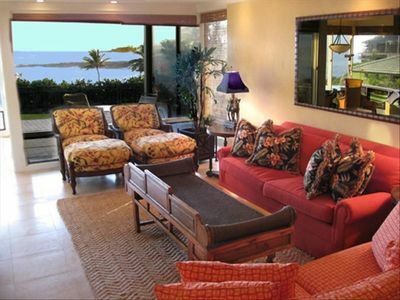 Kapalua Resort has two Championship 18-hole Golf Courses including the Plantation course, home of the Mercedes Open. 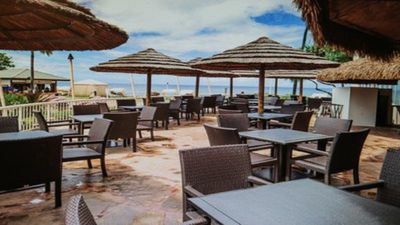 There are great restaurants within walking distance (or take the free shuttle) including Sensai, the Pineapple Grill and the Plantation House, three of our favorites on the island. 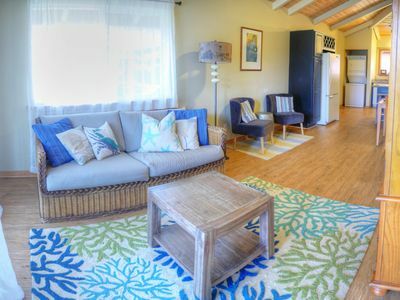 The Villa Complex has three swimming pools with gas barbeque grills as well as tennis courts. 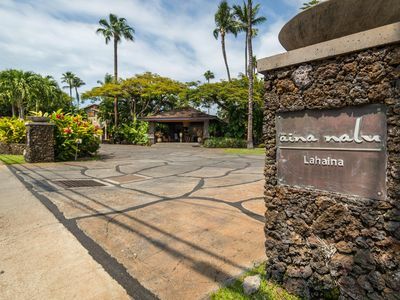 Visit the new Kapalua Adventure Center which features over 2 miles of ziplines within the west Maui Mountains, a 4-station climbing wall and a challenge court. 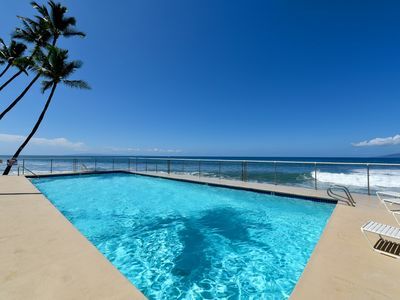 With the exceptional location and all of the special amenities including free wireless internet, printer, fax machine, LCD large screen TVs, two person walk in shower, soaking tub, high quality linens and towels, air-conditioning, washer and dryer, spotting scope (for whale watching), boogie boards and designer furnishings this extraordinary and unique villa unit will help make your stay on Maui a perfect one. 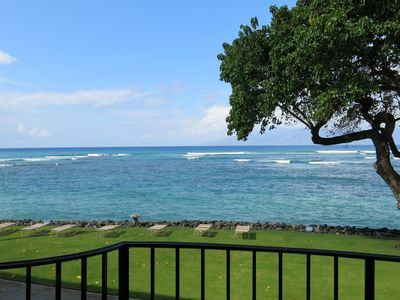 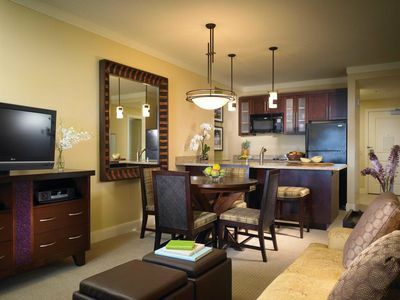 Dream Vacation, Dream Location, in Lahaina Town on Maui!